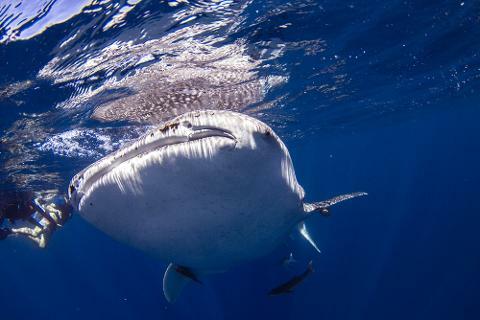 Kings Ningaloo Reef Tours was one of the first, and is considered one of the most experienced, quality Whale Shark Tour Operators in Exmouth, Western Australia. Our tours accommodate people of all ages and abilities and we strive to ensure your Whale Shark swimming experience exceeds all expectations like no other. 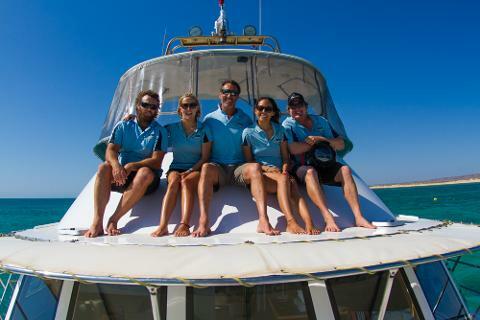 Kings Ningaloo Reef Tours have the Australian Tourism Council and we are proudly ECO Certified, meaning our tours adhere to best practice and standards for environmentally responsible tourism. We were again winners of the Trip Advisor Certificate of Excellence in 2018 as, at Kings, we pride ourselves on our outstanding personal customer service and safety record. We are privileged to have some of the most beautiful calm and crystal clear waters on the globe and with Kings you’ll be enjoying your time with these majestic creatures of the Ningaloo Coast World Heritage Area in 5 star comfort where everybody will get the chance to swim with and/or view Whale Sharks, Manta Rays, Spinner Dolphins, Dugongs, Turtles and a myriad of other amazing marine life from the boat; the choice is yours. The Turtles of Ningaloo Reef are another feature which inspire the imagination as they travel through the clear tropical waters. Green Turtles, Hawksbill and Loggerhead Turtles all hunt, mate and travel to the beach to lay their eggs along the reef on the various islands and sometime mainland along the coral coast. 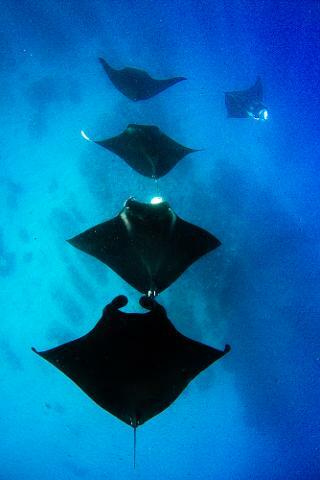 One of the other specialities of travelling on a Kings Ningaloo Reef Tour is the thrill of manta rays which leap with great fury out of the water like a huge bird wings outstretched. 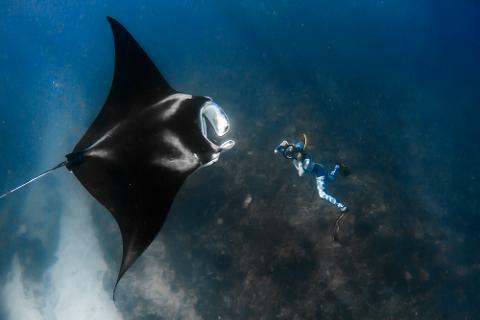 Manta rays can reach a width of 15 feet and upwards and a weight of perhaps a ton. During the winter months till as late as October or November the rays are common and may hunt around the islands of the coral coast for some weeks. They swim by means of up and down movement of their great, expansive pectoral fins. 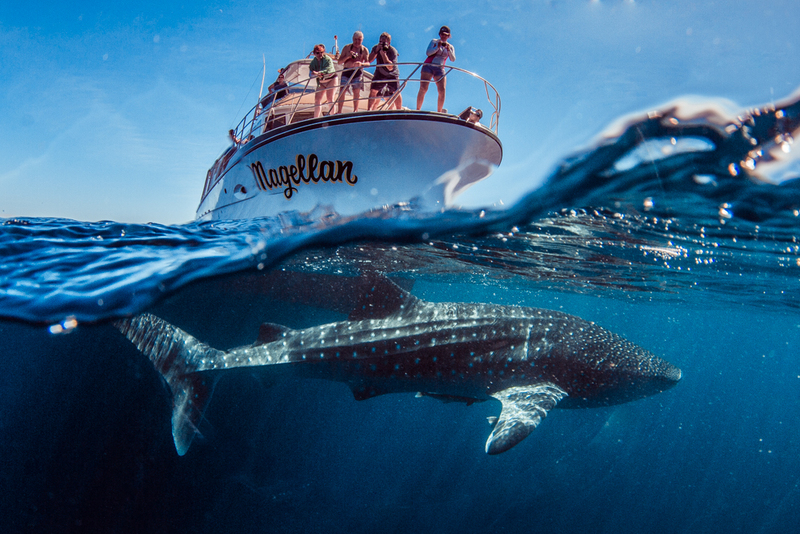 We use professional local photographers on board our vessel with years of experience on the Ningaloo Reef meaning the quality of your captured memories will be second to none. Photos of your day are included in the tour price. Please Note: Our success rate is high, however as we are working with Mother Nature, we ask for your consideration if certain marine life is not seen.